At the start of 2018 I contemplated what my word would be for the year and what I would like to improve in my life. My word this year has been HEALTHY. 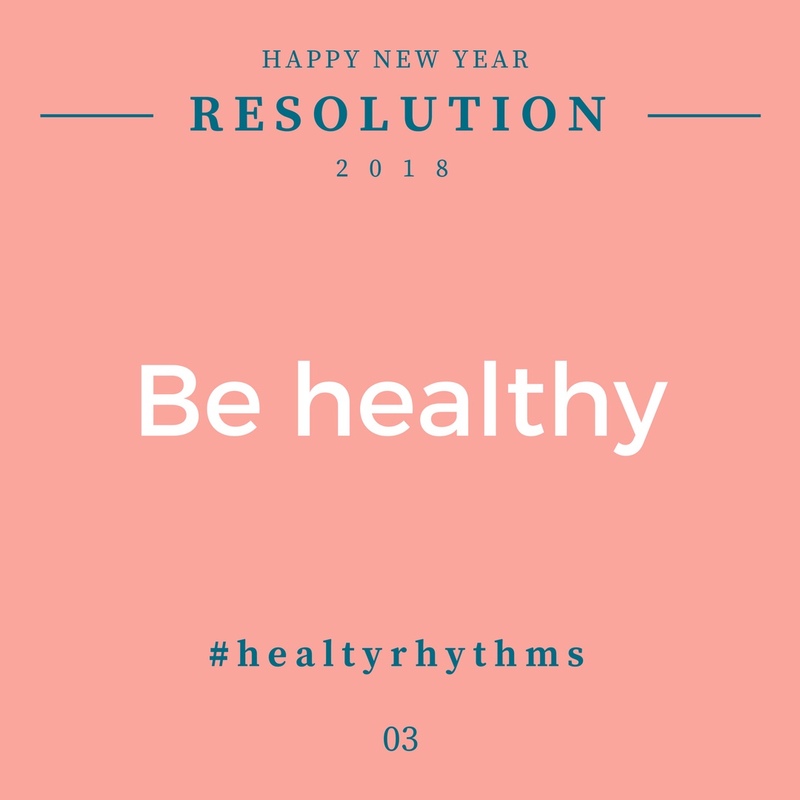 I created several resolutions, one being to be more healthy. I set out several years ago to detox our house and family from as many chemicals and toxins that I could. 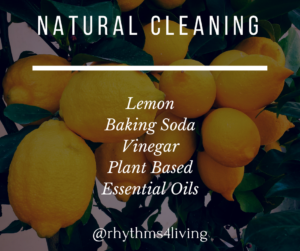 I started by switching to natural cleaners like baking soda and vinegar, using more natural soaps like Castile soap, plant based detergents, and not buying anything with fragrance. (Its amazing how sensitive I am to chemicals like fragrance when I come into contact with them. I get headaches and really can’t handle to smell. Some products actually irritate my skin.) I also started using more Young Living essential oils to cleanse the air and for our health. I added houseplants to help cleanse the air. I bought better, cleaner mattresses and bedding. I reduced the amount of TV we watch. I search for more organic and natural products in everything I buy, especially our food and skin products. I even start making some of my own skin care products. The one product that has been so simple to use but has made a profound effect has been the addition of Thieves Household Cleaner. 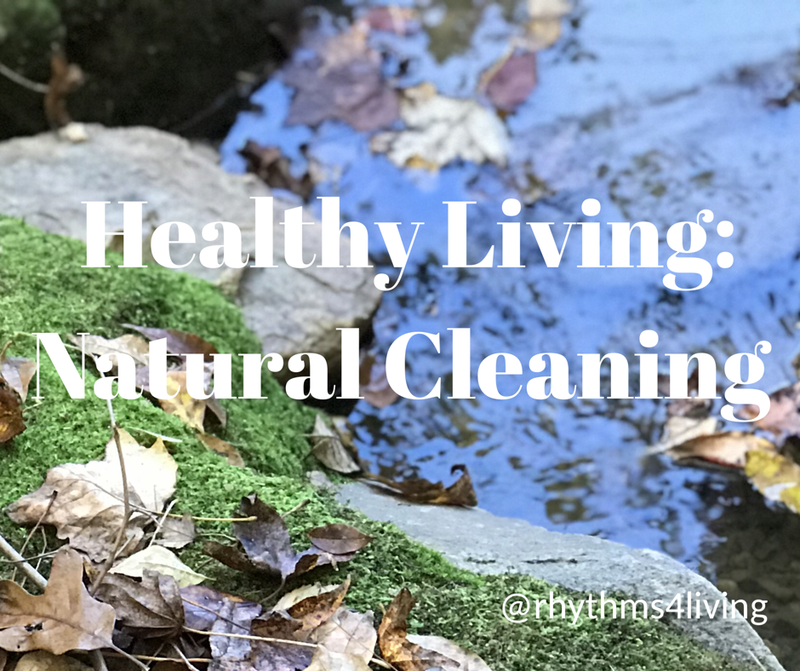 It is an all-purpose cleaner that I can use on most surfaces to clean and disinfect, including glass, toys, kitchen, bath, floor mop, even the car. It is highly effective and it smells incredible. It is all natural and plant based. 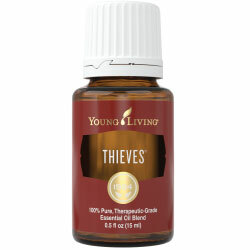 Thieves is a therapeutic grade essential oil blend that I get through Young Living. It is by far my favorite and most used oil. I diffuse it to cleanse the air, put it on my children’s feet to help protect them from the many germs they come in contact with, use it topically to help boost my immune system and fight off colds and infections. My favorite products that include the Thieves blend is Young Living’s hand sanitizer and the household cleaner. The sanitizer is so silky smooth with the wonderful Thieves scent, and lasts forever. I literally have one in every diaper bag and purse I own. I also try to avoid buying commercial soaps, many of which are loaded with chemicals and toxins I don’t want to be putting on our bodies. Now I fill a glass bottle with Castile soap and add about 10 drops of Thieves essential oil. Its smells amazing, kind of like Christmas, and I feel completely happy using it knowing that it is natural and effective at killing germs. 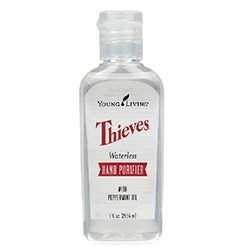 You can also buy a foaming Thieves hand soap directly from Young Living. I was even more impressed by the Thieves cleaner when I used it to clean crayon off of a plastic table the other day. Up until now I have only found Clorox wipes to easily and effectively remove the crayon. Problem is the Clorox wipes literally burn my skin when I use them. I can’t stand the nasty chemicals. So this time I used my Thieves cleaner, spraying it on the crayon marks, and was then shocked at how quickly and easily it worked. I didn’t even have to scrub as hard as I usually do when using the Clorox wipes. It was amazing! 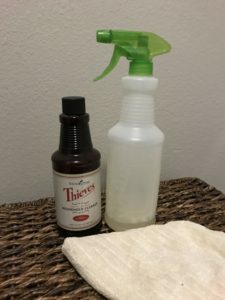 Young Living also makes Thieves wipes and Thieves spray for easy clean up at home and on the go. So what is Thieves Essential Oil? If you’d like to learn more about this oil check out this post “All About Thieves”. Podcast: Check out this podcast that discusses using Thieves cleaner around the house. YouTube Video: Check out this video All About Thieves Essential Oil. 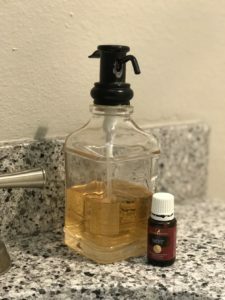 If you haven’t checked out Young Living’s Thieves essential oil yet and the many products they make with it, hop on over and take a look. If you are interested in purchasing some to try or are interested in becoming a member so that you can regularly buy Young Living oils at a discounted rate let me know. Even if you are just curious and want to learn more, shoot me a quick email or message! Please note: This post contains affiliate links to Amazon. I am also a user and distributor of Young Living oils.